Regardless of the size of your property, Oakville-owned and operated Natural Elements delivers exceptional results and outstanding value in everything we do. 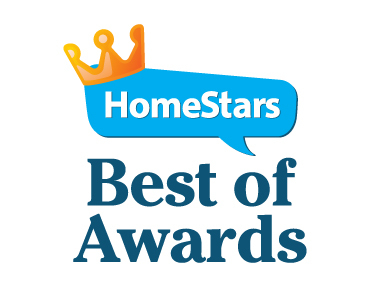 With three Homestars “Best of” awards for customer service and quality workmanship, trust our team to beautify and protect your driveway this year with our liquid asphalt driveway sealant. We use oil-based asphalt to moisturize, penetrate, and protect your asphalt. Other products sit on the surface of your blacktop not allowing it to expand and contract. This can result in cracking, heaving and the eventual need to replace your driveway. We are an Oakville-owned and operated company with uniformed employees, full WSIB and liability insurance coverage, and a track record of superior results. Our team is all about results and exceeding customer expectations. We tape off transition areas, use blocker boards to prevent overspray, and take our time to make sure the job is done very well. We can take care of minor crack repairs, oil stains, and crevice weeds where required. Refer-a-friend – We offer a $25 discount to both you and your next-door neighbour if you pre-book both driveways for sealing on the same day/same time. This year trust Natural Elements to bring your driveway back to life. Call or email for your free, no-obligation quote today. Dan and his team at Natural Elements have given me excellent, professional service for the past two seasons. They respond to inquiries in a timely way, arrive at your home when promised, are thorough in their assessment of the property, answer questions as best they can and provide advice and education. If they do not know the answer to a question, they follow up at a later date. I feel taken care of and treated with respect and that is the most valuable thing to me. I have been a client of Natural Elements since 2011. Dan and his team are courteous, professional, reliable and provide excellent value for money. I’ve been so pleased with the work of Natural Elements that I now have them providing the same service at another property as well. I have no hesitation in recommending Natural Elements. Dan and his crew take extreme pride in their work and care for the outside of your home like it is their own! They are easy to work with, knowledgeable and professional. We have recommended them to several neighbours and friends. Call 905-876-6634 or email us at info@naturalelementshome.ca for a free, no-obligation quote to find out why hundreds of Oakville residents are choosing Natural Elements to care for their lawn and garden needs.